Have you ever been to an employment tribunal? Do you find the prospect daunting? 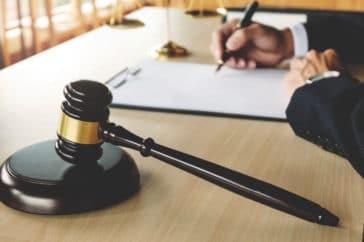 Vista is running a FREE of charge mock employment tribunal on 25th June 2019. Designed for HR professionals and line managers who may be dealing with a tribunal case, the event will help you experience first-hand the employment tribunal process, the issues that could arise during a case and how an employment tribunal may deal with them. This event is one of eight taking place around the country, so if it’s not local, there is one that is. Please check out our other events here. We will also be offering a free consultation to any delegates who have a live employment tribunal case. Please let us know when you book if you would like to take advantage of this offer. Where a specific venue is not stated, it will be updated nearer to the time of the event, and details will be sent to our delegates. Places are restricted to 5 delegates per organisation. Imagine you are Alex Potts, a long-standing employee at the head office of a widget manufacturer aggrieved that your new manager, Chris Highwater is trying to make changes when he knows nothing about the Company, nothing about the team and certainly nothing about you. After 17 years’ service, he sends you to archive ‘because you are best suited for that kind of job’. What would you do if you were the employer? Chris is new to the role and appears to respect Alex’s expertise, but you can see he wants to shake things up and make improvements for the better. Alex is being difficult and obstructive, but Chris said he certainly hasn’t singled her out because of her age…or has he? You will have the opportunity to explore this real-life case before watching the witnesses give evidence and be cross examined by the Vista team of employment lawyers. With your help, the Judge will make a decision on the evidence – has there been direct discrimination and/or harassment on the grounds of Alex’s age? The session is a fantastic opportunity for all those who may have to attend an employment tribunal to develop your knowledge. It will give a real insight into how decisions are made and how actions taken can very easily become key features of a tribunal hearing. Come and join us and see for yourselves!